The Prime Minister and Deputy Prime Minister have paid back more than $20,000 after an “administrative error” saw them being overpaid their accommodation allowance for almost 100 days. In a statement, Prime Minister Jacinda Ardern says both she and Winston Peters have received an apology from officials and have paid back the money, which covers the period from late October to early February. 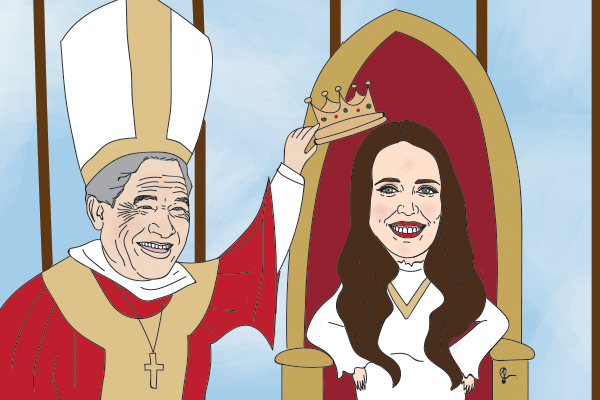 The error saw Ardern and Peters receive Wellington accommodation payments while they were living in official residences. Ardern has repaid $12,205.49 and Peters has repaid $9,123.29. The difference is explained by the dates on which they moved into the properties, the statement says. “As soon as we were advised of the error, we both immediately took steps to reimburse the money. That has now happened,” said the Prime Minister and Deputy Prime Minister. In a letter to the Prime Minister, Ministerial Services Acting General Manager Morag Ingram says the overpayment was made during the “Executive transition period,” where payment of the allowance was carried over incorrectly after the date upon which the pair moved into separate official ministerial residences. DIA officials made Ardern and Peters aware of the error on Monday. It acknowledged the Ministers did not seek to claim the allowances which were incorrectly carried over during the executive transition with the officials only recently realising the error. The error was identified as part of a standard quarterly proactive release of Ministers expenses, which was due to be made public on Thursday. Oh no ........... so Labour had a field day when this happened to Bill English , now the shoe is on the other foot . Hardly the same circumstance, Boatman. I know it doesn't come easy to you, but just read the article. Lol? Claiming something you’re not entitled to is totally the same thing as a remuneration blunder. Only if you are National supporter. ...however, the rest of us plebs don't need advisers to tell us that we have received an extra $12k. Except when you’re paid $28k per month in the hand you might not need to check your bank balance very often. Administrattive error and this is Big News. nice to know they can have that much money in the bank and coming in not to notice the extra ! The media aren’t waiting at all to bring down the government. It’s a shame that democracy in this country has been so severely weakened in the last 9 years. Nicky Harger’s Hollow Men was an eye opener for me, as was the replacement of highbrow evening current affairs television with pro-neoliberal infotainment. I see that Professor Anne-Marie Brady’s research on the subversion of NZ politics by the CCP has been the target of a recent burglary. Of course everyone knows that National party has in its ranks an MP with history in the PLA. Not that that’s relevant to this story. It’s just interesting when you see politically embarrassing stories like this. Makes you think..
It’s interesting how perceptions differ. I consider Breakfast TV, the Project and some parts of the AM Show to be pro State Socialism. Radio NZ is the last decent news venue left but that’s coloured by Campbell’s leftie leanings as well. Online media aren’t much better. Stuff and the Herald have become click bait junkies with some of their ‘journos’ writing puff pieces that might have come out of Labour PR boiler room. It’s all quite depressing as I don’t see it getting better unless we get some form of paywall to raise the standard. Leftie leanings seriously! You know John Campbell has in the past been just as critical of Labour as he has of National. He’s a humanitarian, and one who has a jolly good dash of intelligence. Leftie indeed. It’s all relative I suppose. Honestly, I think that Robert Muldoon, if he were alive today, would be regarded as a leftie. "John Campbell has been just as critical of Labour" - yes, but that doesn't in itself mean he's balanced in his criticism. He is not. His criticism is always from the Left. And Mike Hosking and/or Leighton Smith's is always from the right. Leigh it on Smith should be convicted of crimes against humanity with his anti climate change propaganda. Is he utterly stupid or is he being paid to spout his nonsence. Well, clearly he is being paid to spout his nonsense and it is because he stirs up the stupid in numbers enough to make it worthwhile, to hell with truth. He should be put through a racism test as well. I don't listen to radio, except RNZ so have no view on the others except I'm sure based on TV appearances and Herald articles that Hosking is right leaning. I listened to him briefly a week ago, awful, had to double my BP meds. He's an over-opinionated arse, worse than Hosking. A local version of Alex Jones, highly damaging to the suckers who listen in and get their prejudices reinforced all for clickbait type financial gain. What are you saying, that the only views that should be heard are right wing ones. The AM show is not leftie. RNZ, apart from Guyon Espiner, is far from right wing. It might come as a surprise to you, but to have left wing views is not illegal. Perhaps that I see the opposite to you might mean the media might be getting it reasonably right. Paywalls eh? To make sure the plebs can't see anything, make sure you can keep the narrative to yourself? Wonderful. The 'plebs' are the proverbial mushrooms in the current media environment, kept in the dark and fed manure by spin factories. How do we know what is real? How much is manufactured news or opinion trying to fill space? Rather than Google every person referenced why can't we have disclosure in articles as to the writer's political affiliations, other causes they support, their sources, whether it was a paid to publish article? NZ Herald would have to dramatically improve before going paywall. It’s a great idea and the modern equivalent of buying a newspaper. My kids didn’t believe me when I told them people used to buy the news on actual printed paper. NZ Herald went partial paywall about ten years ago, and it was a total failure, because really, who was going to pay actual money for drivel like Garth George's column. And it's even worse now.